The coat hanger!!!! And of course, you had me at polka dots. Love the strips of bling and color! Great sentiment stamps several times, love it! Love the coat hanger and of course that pretty summer dress! 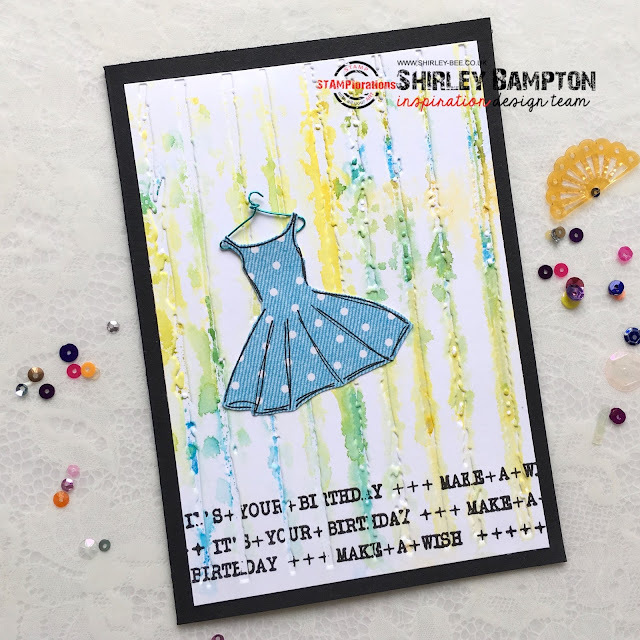 Sweet card...love that adorable dress.